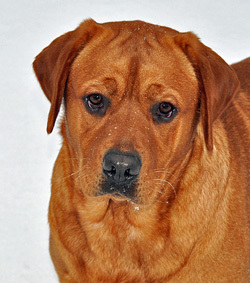 CURRENT AVAILABILITY as of 2/12/2019 - Please click on the pup/dog's picture for more information. Like us on Facebook by clicking on the link. 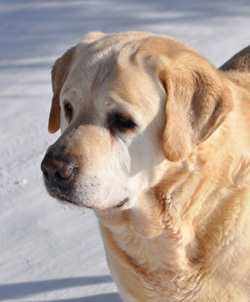 Welcome to Amber Sky Labradors where we have dedicated over 30 years in producing calm Labradors that excel as companions to you and your family. During this time frame we are proud to have produced many wonde midwest. We have used our own labs in conformation shows and have shot over them in the fields. Our puppies that we have produced over the years have served in many roles ranging from work as a search and rescue dogs to being trained and working as therapy dogs. 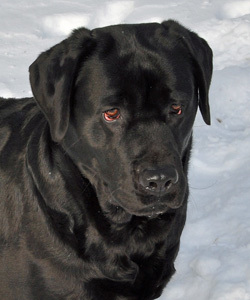 However the greatest achievement one of our Labradors can make is to have earned the love, trust, and loyalty of the families or individuals that bring them into their lives. 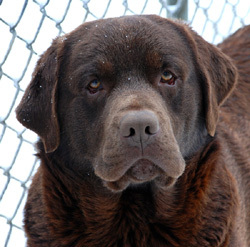 That is our goal in its simplest form to produce a calm Labrador that will become a part of your family. 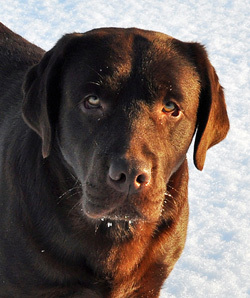 As part of our philosophy we believe that a sound Labrador breeding program should raise Labradors in all three American Kennel Club colors; Black, Yellow, and Chocolate. 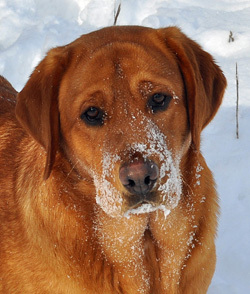 Our yellow Labradors range in color from a light white to a fox red shade of yellow. 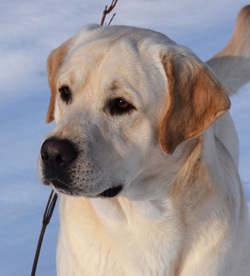 We believe that our Labradors and the puppies we produce are pleasing to the eye and warming to the heart. 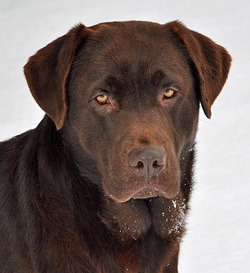 We as breeders strive to produce what many people refer to as 'English' type labrador meaning that the dog has a square or 'blocky' head as many people refer to it, a strong well muscled body, and a soft kind expression. 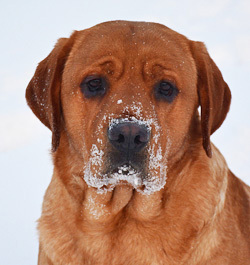 Please spend some time looking at our Labradors for sale, check out our current litters, or litters that we have planned. In addition you can read a short history of us under Our Labs, read the comments and view the pictures of previous puppy buyers have shared with us under our Testimonials, and if you have any questions please email or call us at the contacts listed on our Contact page and we would be glad to help. Thank you for visiting! An all yellow litter born on January 3, 2019. The pups from this litter are ready for new homes on or after March 6th. The pups in this litter are very stocky, square English type Labrador pups that have a significant amount of bone and substance to them. The pups from this litter will grow and mature into strong English type Labradors that will make excellent family companions with calm, loving temperaments. 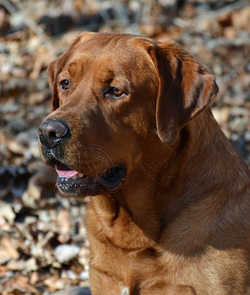 This litter is an excellent example of our third generation of breeding on Dana's side. A black, chocolate, and yellow litter born on January 12, 2019. The pups from this litter are ready for new homes on or after March 8th. The pups in this litter are very stocky, square English type Labrador pups that have a significant amount of bone and substance to them. The pups from this litter will grow and mature into strong English type Labradors that will make excellent family companions with calm, loving temperaments. This litter is an excellent example of our fourth generation of breeding on Raven's side. A black, chocolate, and yellow litter born on February 3, 2019. The pups from this litter are ready for new homes on or after March 29th. 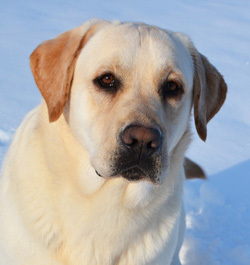 The pups in this litter will mature to be very stocky, square English type Labrador pups that have a significant amount of bone and substance to them. The temperament of the pups will be outstanding much like Rob Roy and Nyla. This litter is an excellent example of our fifth generation of breeding on Nyla's side.